Immigrant Italian women living in the United States during the earlier part of the 20th Century have been little studied in contemporary history. That is until now. 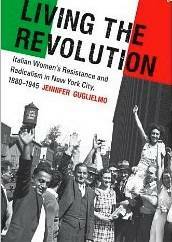 Jennifer Guglielmo in her seminal new book, Living the Revolution: Italian Women's Resistance and Radicalism in New York City, 1880-1945 (University of North Carolina Press) which was awarded the Organization of American Historians Lerner-Scott Prize, describes in great detail and brings to life, scores of Italian woman who were radicals at the turn of the century and the contributions they made to their communities, families and the labor movement. Jennifer Guglielmo specializes in United States history in the late 19th and 20th centuries. Her research and teaching interests include women, immigration, transnationalism, imperialism, labor, race and racism, social movements, political radicalism and working-class studies, according to the Smith College website where she is an assistant professor. Until Guglielmo’s work, these women really have taken a back seat to stories of their male counterparts such as Sacco and Vanzetti, the two anarchists who were executed in the 1920s. While many of these women weren’t objects of the same type of rage and hatred nonetheless they lived a hard existence and their struggles are eloquently laid out in this new work. 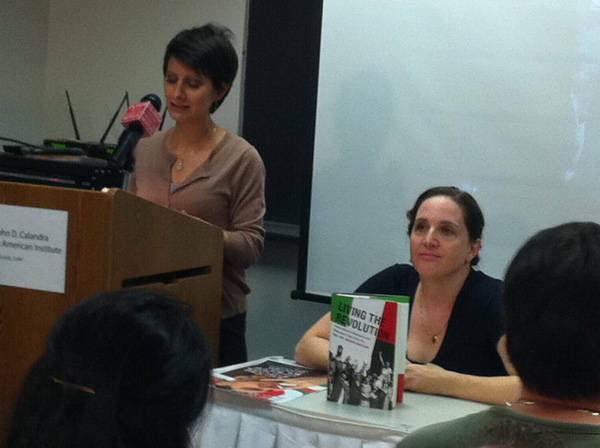 Guglielmo explained in a discussion at the John D. Calandra Institute on September 22 that she first became interested in the stories of Italian immigrant women through her own family, specifically her grandmother. Guglielmo said she sees the work as a “love poem to her ancestors and to everything that they fought for.” Guglielmo showed numerous photographs that outlined the bleak nature of life for many of these immigrant families. While acknowledging the struggles these women went through, Guglielmo said that she thought it was “slander to see these women as powerless and dominated.” She set out to tell the true story that she had heard in her own family. Italians were the largest group of immigrants to the United States at the turn of the twentieth century and hundreds of thousands led and participated in some of the period's most volatile labor strikes. Guglielmo looks at the lives of activists in two generations of New York and New Jersey women who worked in the needle and textile trades. The first part of Guglielmo’s book takes place in Italy while the latter is set in the United States. 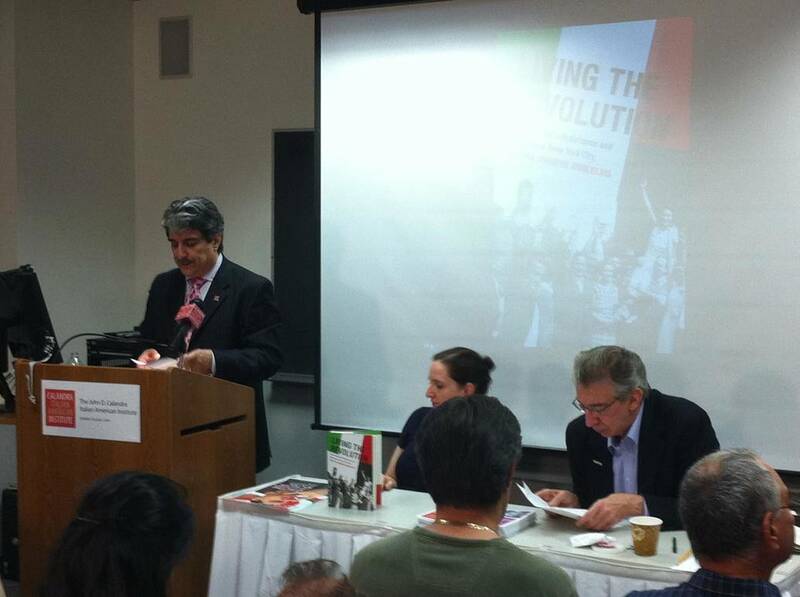 Guglielmo is the co-editor of the 2003 book, Are Italians White? How Race Is Made in America. 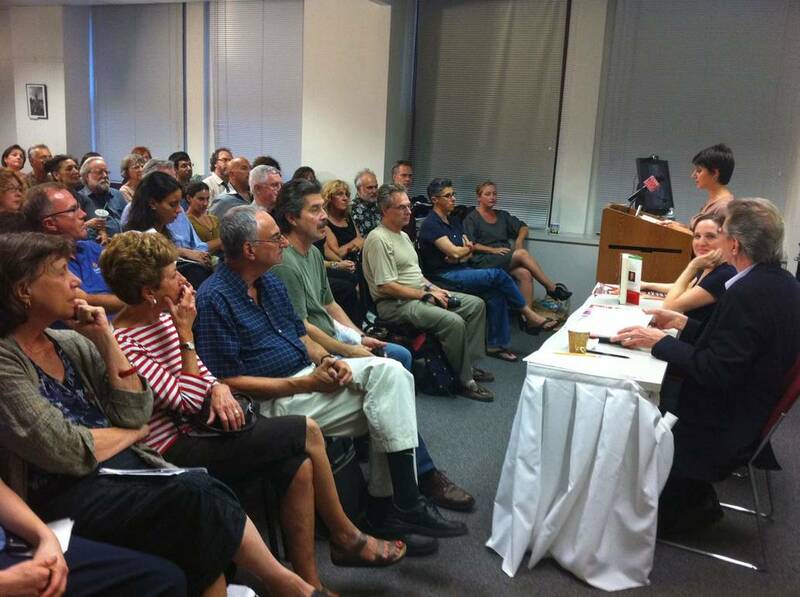 During her talk at the Calandra Institute she also spoke about the role of race relations between the Italian immigrants and their new country. Many of those who came to the United States hailed from Southern Italy where people tend to have darker skin. She notes that this too created controversy and difficulty for the new arrivals.